Most parents wonder if they can paint their children’s room. Of course you can! Just choose organic paints with no solvent content, or use paints that are free from VOCs or volatile organic compounds. VOCs release a large amount of fumes that may cause side effects, such as respiratory disorders, particularly to children and small babies. VOC exposure is usually linked to a number of health problems like nose, throat, and ear irritation, headaches, and is also linked to cancer. Inhaling VCOs can also cause damage to the liver, kidneys, and other internal organs. Pregnant women and small children are particularly at higher risk of getting serious side effects from exposure to VOCs. Avoid oil-based paints when painting any indoor rooms, especially the children’s rooms. Oil-based paints contain more VOCs compared to other types of paints. Not only that, clean-up will also require more solvent as well. Using oil-based paints and stains can leave the room smelling bad for days. 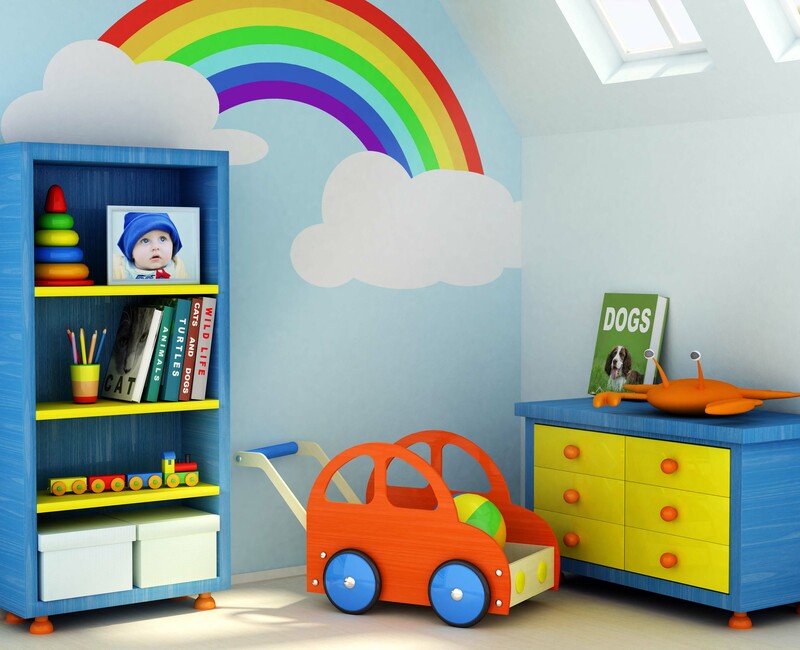 The best paints to use in the children’s room are latex paints or water-based paints. Unlike oil-based paints, latex paints use water as pigment carrier and solvent. Latex paints have lower VOC levels and only require water for clean-up, thus avoiding further use of additional VOC-based products. Moreover, latex paints contain no phthalates, mutagens, formaldehyde, ozone-depleting substances, toxins, pollutants, and carcinogens, so they are practically safe for use indoors. It is recommended to search for the “Green Seal Certification” when buying paint for your kid’s room. The seal is awarded to paints with VOC levels that meet safety standards or levels. The seal also means that the paint does not contain harmful toxins, heavy metals, and other materials that can be health hazards. Before painting your children’s room, keep these things in mind. It is recommended to use only the best water-based paint for their rooms. Remember, harmful fumes may not immediately affect their health, but can be really harmful, especially for little children.